After so long rumors and teasers finally most anticipated device of Lenovo has been launched in their new K series. 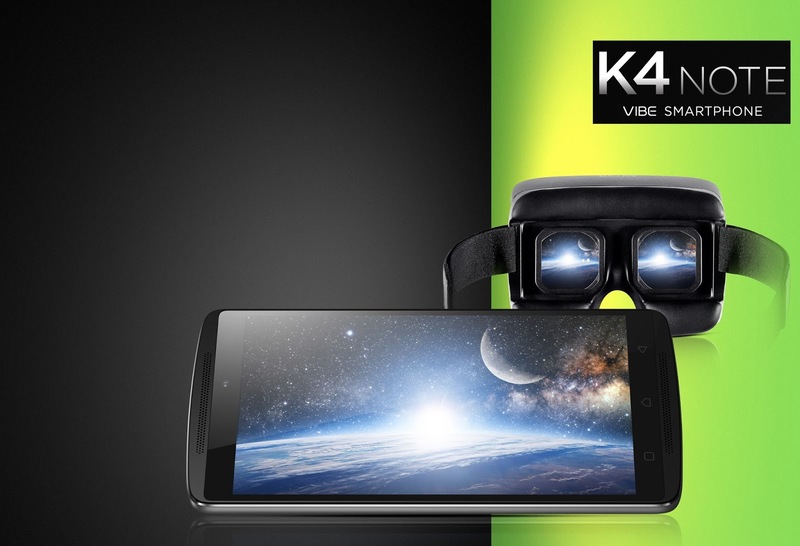 Lenovo K4 Note has been launched with advance advance fingerprint sensor along with latest virtual reality technology that is TheaterMax. After great success of it's predecessor Not K3 Lenovo will be having much expectation from their K4 Note. At first site device looks premium and have curved back with thickness vary from 9.15mm to 3.8mm - thinest point of the device. K4 will get premium wooden back cover unlike K3 note for their users. Lenovo K4 note comes with 5.5 inche Full HD IPS display having resolution of 1920 X 1080 with 441ppi. Display also have 178 degree wide view display equipped with Gorilla Glass 3 protection. Lenovo K4 Note is dual SIM device with both SIM supporting 4G LTE. In the processing side device is powered with 64 bit Octa-core Mediatek MT6753 processor along with Mai T720-MP3 GPU which enable this device generate 3D graphics more easily. On Operating system side with Fingerprint sensor at place we were expecting this device to come with lated Android 6 but unfrotunatly Lenovo K4 is stuck with Android 5.1 Lollipop for now. On the other hand Lenovo K4 Note equipped with dual front speakers tuned by Dolby surround sound enhances user sound experience. Where TheaterMax technology will convert all media played on K4 Note in Virtual Reality Cinematic experience. Combination of Dolby Surround Sound and Virtual Reality will provide user and lively cinematic experience with real-life touch. On photography part K4 note provide 13 MP rear camera with dual tone flash and 5MP front facing camera. For storage purpose device have 16 GB inbuilt storage and user can expand upto 128 GB using SD card. Device is powered by 3300 mAh battery. On connecvity front device provide 4G, 3G , 2G, Wi-Fi, AGPS, Bluetooth 4.0. Well on price front Lenovo Provide competitive price of Rs 11999/-. Lenovo soon going to launch Lenovo Skullcandy Ando headphones priced at Rs. 1299 as separate accessories for Lenovo K4 Note. User can buy ANTVR headset for the VR content, and that would be sold for Rs. 1299. If purchased in a bundle, the cost will be Rs. 12499/-. The phone will be available exclusively on Amazon India, and the first sale is on 19th January, for which the registrations begin today at 3PM. So here is all about latest news. If you have any questions or any query do comment below. Will get back on that soon. Thank you fro reading.